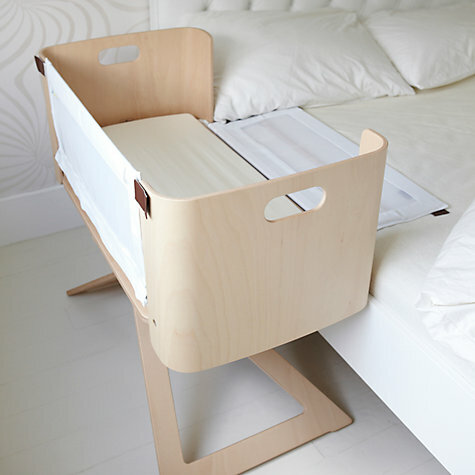 Health Canada has issued the recall of Bednest Bedside Cribs after a 7-week-old infant in the United Kingdom died after asphyxiating when she became trapped with her neck on the top rail of the lowered side of the crib. One side of the bedside crib is lower than the other to allow for positioning near a bed to make accessing the infant for care and feeding easier. Unfortunately it is this functionality that creates the hazard. The product doesn’t meet the minimum height requirement for cribs, when the lower side is accounted for. If the space between the bed and the crib is too wide, the baby can become trapped. It is dangerous because, while you might not think there is any space, once an adult lies in the bed, a space can be created. There have been no reports of incidents in Canada, but Health Canada felt the incident in the United Kingdom was enough to recall all items sold in Canada. Health Canada is reminding parents that they should never leave a baby unattended in a bedside sleeping unit with a lowered side. They are also asking parents and caregivers to review their sleep advice outlined in Is Your Child Safe: Sleep Time.